\r\n Flying RV-12\'s owners should take immediate action to check the 4 engine ring mount socket head cap screws before next flight. Many bolts have vibrated loose, and several have fallen out! \r\nDuring a recent inspection I found the two bottom socket head cap screws that hold the engine mount ring to the engine had worked themselves loose. I pulled them out, inspected the threads, added blue loctite, and retorqed to 26 ft pounds, and I didn\'t think too much about it until Tony T contacted several of us last week with the same issue. Then the flood gates opened. Nearly everyone Marty S & I talked to flying the RV-12 has had the engine mounting cap screws come loose around 100 hours. \r\nThe top two engine mount cap screws have also been reported loose also so all 4 need to be checked. The bottom two are easy access. The top right needs to have the carb & carb socket and drip pan removed. The upper left is inaccessible and the cooling shroud will need to be modified. John Bender was able to get at it by modifying the cooling shroud. \r\nThe plans do not call out blue loctite on these bolts and IMHO there should be. \r\nYes, they had lock washers on them. \r\nYes, I torqued them to specs the first time. \r\nI did not use loctite the first time per the plans. \r\nAfter adding blue loctite, and re-torquing to 26-30 ft pounds I have flow 50 or so hours with no further problems. I check them every oil change or 25 hours, and whenever I have the lower cowl off. Since they were re-installed they have been fine. \r\nI highly suggest adding "witness marks" with a black marker or torque seal so there is a visual reference on the heads of the cap screws. I have a lot of hours now ( over 200 ), and likely was one of the first to have this problem. When I first found it, like Larry said, I thought I had made a mistake, and added Loctite \'blue\', and did all 4. ALL 4 were loose. I Dremeled out a large enough section of the airduct to give access. I \'glued\' the piece back in place and went on. The SECOND mistake I made was to not go back and look at the instructions to see if Loctite was called for. I ASSUMED it was, and I just made a mistake. That mistake was almost worse than the first. After Tony T. sent us a note a few days ago, I realized I made the biggest mistake of all, not telling others of my problem originally. 2 or 3 wrongs does not make a right for sure ! Since I put Loctite on mine ( several months ago ), mine have not moved. I used a marker pen and \'marked\' all 4 bolts so I could see if the bolts moved. \r\nWe now know at least 7 of us early builders who have had this problem. IT IS A PROBLEM ! \r\nTHIS COULD BE A MAJOR PROBLEM. Check them and forward the info to Van\'s. To ensure the engineering folks at Van\'s receive your report, do the following. \nThere is a reporting procedure (required by ASTM standards) in the RV-12 Maintenance Manual section 16-1. Safety issues should be reported so there is a record. 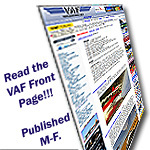 \nFor this issue include your total time, a qualitative description how loose each engine mounting bolt was, and whether or not you added locktite. \nSEVEN of us NOW with 85 to over 200 hours have found LOOSE ENGINE MOUNTING BOLTS. \r\n Lower right just about all the way out. \r\n Lower left had to go 1/4 turn to get back to specs. \r\nThese all looked OK @ time of annual inspection 140 hours. But annual inpection was only visiual looking at the tourge seal I used at the time of the build. Myself and a 30 year A/P both looked at these at anual time. \r\n This is a serious issue. This all took place in the last 50 hours. \r\nThinking about it Dale is probably right about 8mm being the size for the hex socket needed and it is in the HF hex set. \r\nWould like to see. Am thinking you are drilling through the engine mount tube?. \r\nWhat works really well is to purchase just an 8mm ball end allen wrench and cut of the short "L" leg and insert it into a socket. \r\nThat gives you an approx 4" long skinny extension beyond your socket. \r\nBTW, only the very first cooling shrouds produced required modification to access the upper left bolt. Any produced in ~2009 and later will require no modification.